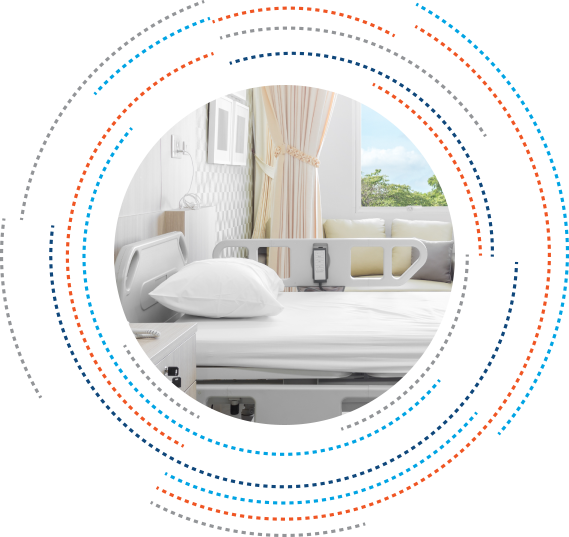 Whether you are a single practitioner, specialty clinic, community health center, medical lab, physician group or an Ambulatory Surgery Center, Concordance Healthcare Solutions can provide you with everything you need. With access to thousands of suppliers, Concordance offers med/surg supplies, medical and non-medical furnishings, lab equipment and supplies, as well as pharmaceutical injectables. Our expert Equipment Team can provide you hands-on assistance in the selection, purchase, and installation of all your capital and diagnostic equipment needs, from minor upgrades to all-new construction. With over 50 years of experience, our team of outside representatives and knowledgeable professionals work with your facility to provide the solutions and technologies that fit your individual needs, reduce spending and help you deliver the highest quality of care to achieve better patient outcomes. By leveraging our solid relationships with supplier partners and Group Purchasing Organizations, Concordance can provide the best equipment and supplies at the lowest total cost of ownership to our customers. Our Customer Service Representatives and additional support personnel are available to help streamline your ordering, answer product questions, and assist with inventory management. 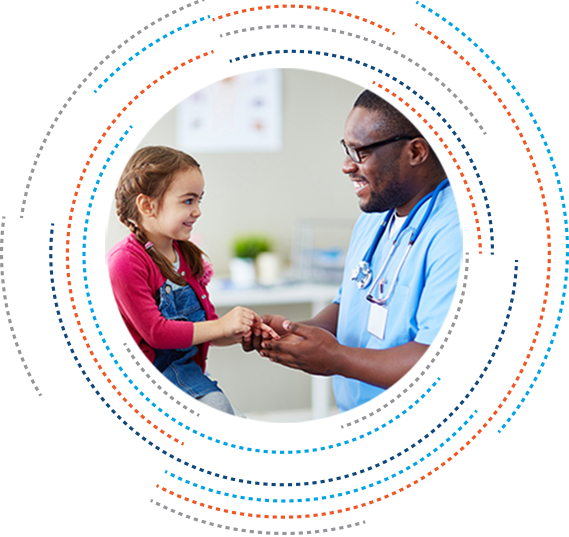 Our comprehensive primary care approach includes a wide range of complimentary supply chain tools that can help with budgeting, inventory management, benchmarking, product standardization and in-service training. Concordance Healthcare Solutions also offers a complete Continuing Education Unit (CEU) credit program. 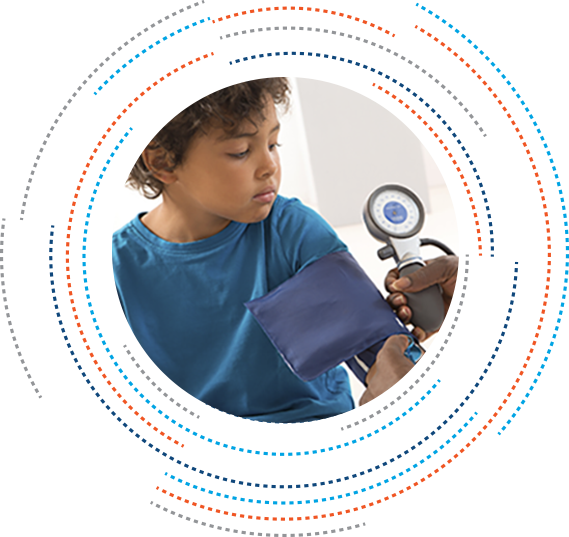 We are dedicated to providing unparalleled support and truly customized solutions for your primary care team. 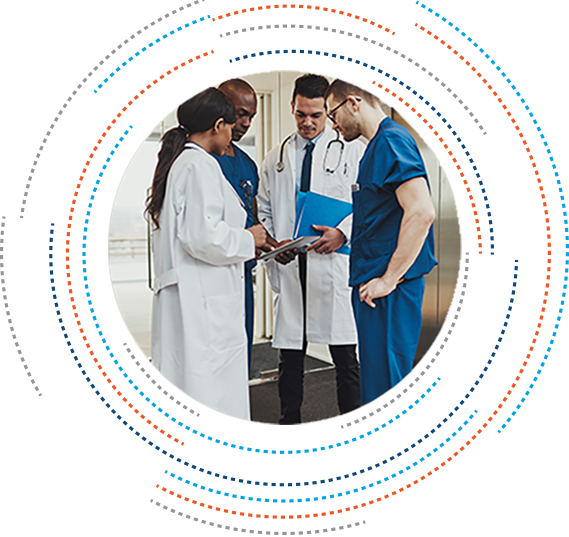 Because the world of healthcare is always changing, Concordance is dedicated to helping make the transition and sustainment process resourceful and efficient. 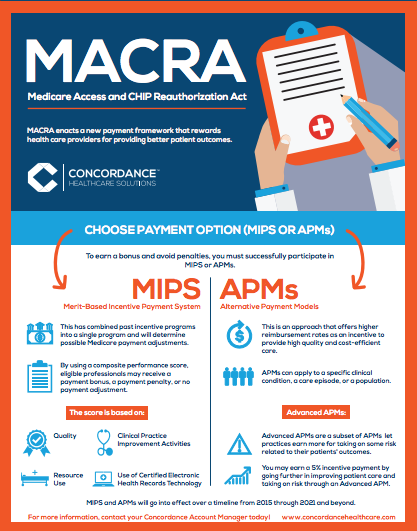 Learn more about the Medicare Access and CHIP Reauthorization ACT (MACRA), the Merit-based Incentive Payment System (MIPS), and Alternative Payment Models (APMs) and how it affects your practice. We partner with you to achieve your number one goal: keeping patients healthy. We help you accomplish this by assisting you in the MACRA process, simplifying your supply chain, and providing the medical supplies you need, when you need them, in a cost-effective manner.